Today we were having another go at a Round One Stadium before travelling to Otaru to view the Otaru Snow Light Path Festival! Borrowing from my description a few days ago, Round One Stadium is a chain of sports entertainment centres located across Japan. Each centre offers some combination of bowling, karaoke, arcade games and UFO catchers, billiards, darts, baseball batting and pitching, table tennis and spocha. Spocha is a special section where for around 2,000 yen you can enjoy soccer, basketball, mini-bowling, golf driving, archery, volleyball, badminton, baseball batting, baseball pitching, darts, mini-motor racing, billiards, fishing, frisbee, ping-pong, pool, shooting, bubble soccer, roller blading, tennis, shooting, arcade games, mechanical bull riding, massage chairs, karaoke plus heaps of free arcade and amusement games and more for three hours. As mentioned we did this in Hakodate a little over a week ago but unfortunately had to leave in a hurry as we overestimated the amount of time we had available. So today was attempt two! Unfortunately, we found that this was smaller than the one in Hakodate and as it was also a public holiday the place was packed. We still had lots of fun though as we stayed much longer so we ultimately got to do lots more activities and games. Most of the sporting courts and equipment have timers so no one was able to hog things for too long which was great. After thoroughly enjoying ourselves we caught a train to the nearby coastal town of Otaru for dinner at Gyu-Kaku which is a well-known Yakiniku chain. 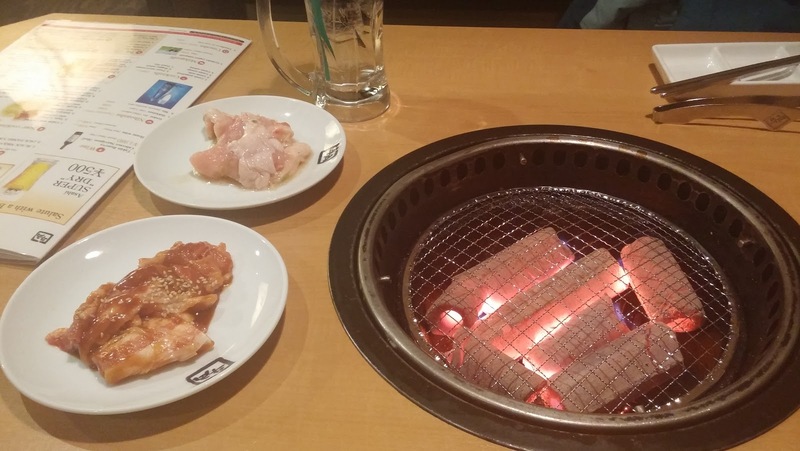 At Yakuniku (Korean Barbeque) you get to cook your own food using a little fire in the middle of your table. 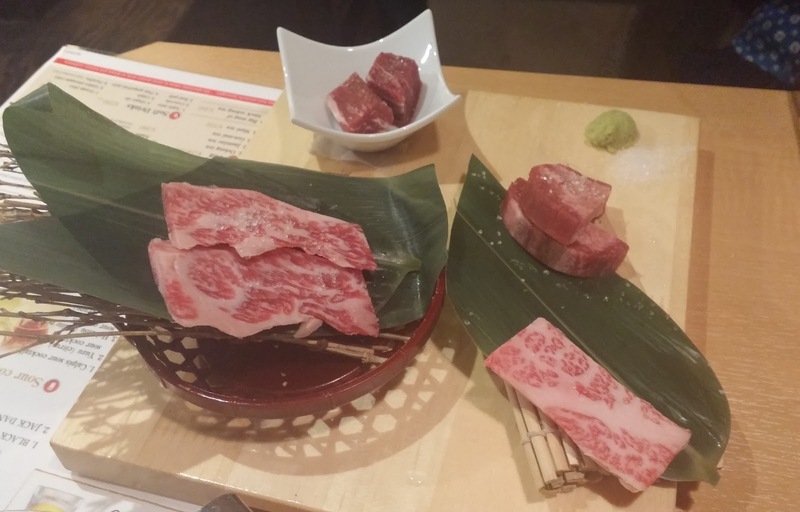 The food largely consists of lots of meat, particularly pork and beef but also chicken and seafood. You can also order vegetables to fry up as well, cabbage is popular but the big oyster mushrooms were my favourite. It was a lot of fun and the food was amazingly delicious! 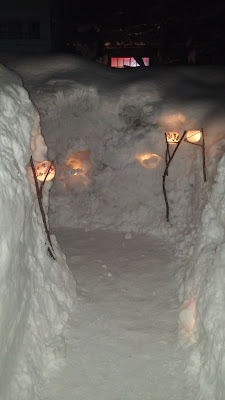 After that we went outside and walking along the Otaru Snow Light Path. Otaru is a small city known for its harbour and historically preserved canal area. It's only a half hour train ride from Sapporo and also includes the original Nikka Whiskey Distillery, Herring Mansion and other historical sights, so it's a great day trip. We came for a night trip though in order to see the Otaru Snow Light Path which is a festival held every year in February, around the same time as the Sapporo Snow Festival we had visited yesterday. The festival in Otaru causes the city to be decorated in lights and small snow statues filled with candles which glitter and flicker, creating an enchanted atmosphere. We walked by thousands of little statues and candles both though the town and then along one of the canals. The canal also had little candles floating in the water and is flanked by snow covered old warehouses. Once we made our way back to Otaru station I bought some Japanese Pudding (purin) to enjoy on the train ride back. Tomorrow we'll be leaving Hokkaido and visiting Aomori at the top of Honshu!